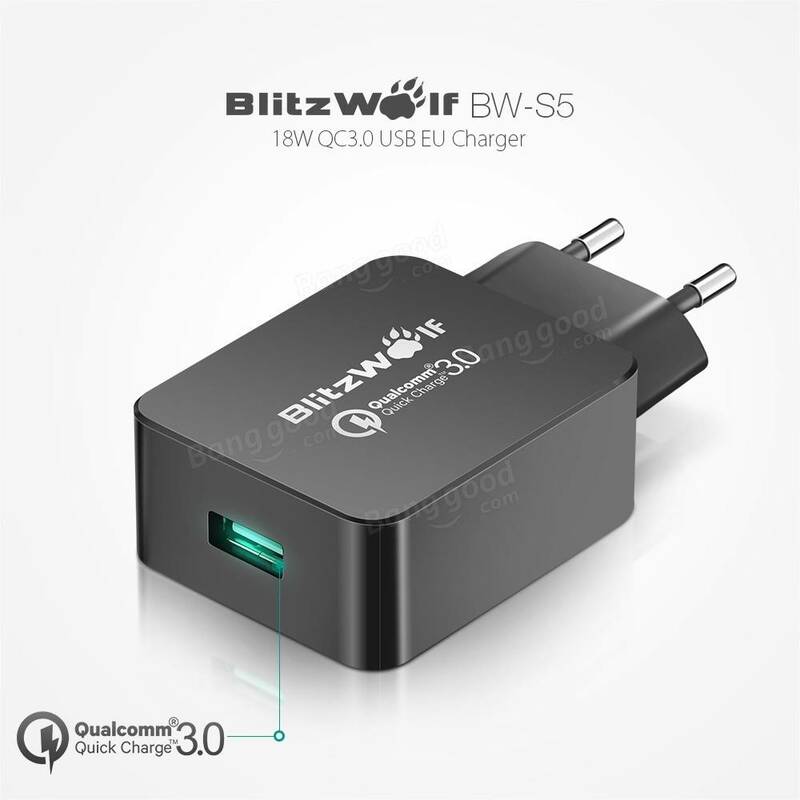 For just US$8.99 , buy [Qualcomm Certified BlitzWolf® BW-S5 QC3.0 18W USB Charger EU Adapter With Power3S Tech from the China wholesale webshop. 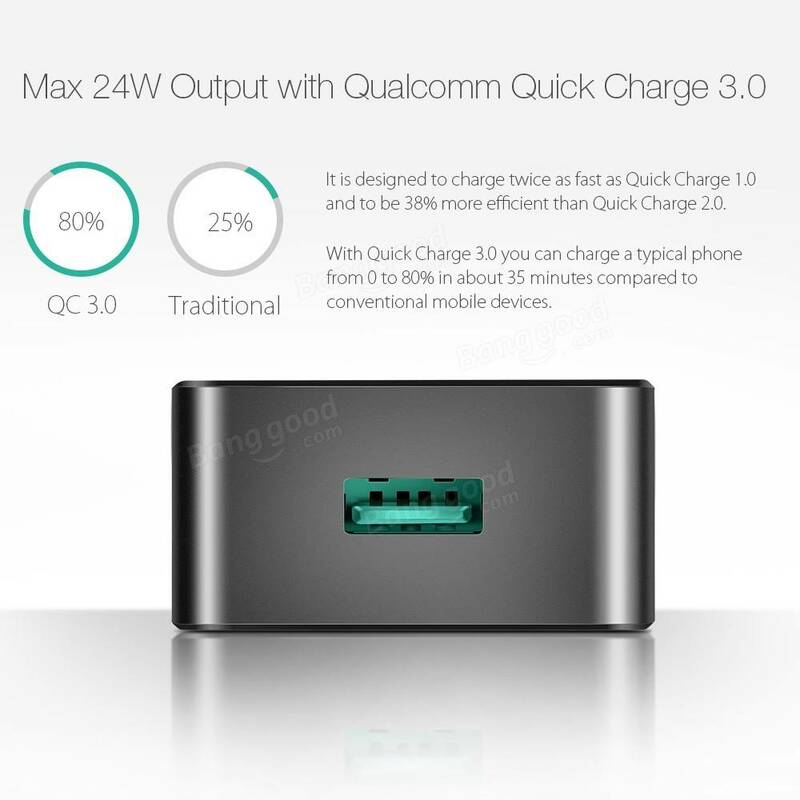 QC3.0 mode chager&apos;s output will run at 3.6V-12V (200mV incremental dynamic regulation) with your QC3.0 devices. 3. How do I check my device&apos;s Input current and voltage? 4. 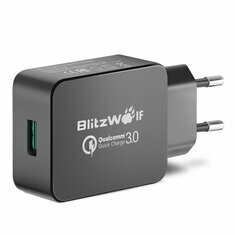 My device charges at 1A,will this charger&apos;s 2A output harm it?